Phantom Pumps is the go-to-source that fluid processing organizations in the US rely on for affordable, high-quality corrosion resistant pumps and replacement parts. The self-priming centrifugal pumps in the Phantom Pumps product lines are manufactured to the highest industry standards and are compatible and interchangeable with slurry pump models, chemical process pump models and other types of corrosion resistant pump models from leading pump manufacturers. At Phantom Pumps, we’re committed to helping processors lower equipment and operational costs at their fluid processing operations by providing durable, reliable and cost-effective alternatives to higher priced, brand-name pump equipment. Ensuring quality standards are always met is a top priority at Phantom Pumps and one of the reasons why we assemble, test and package every pump we manufacture in the United States. Phantom Pumps high pressure pumps include PH Series and XU Series models with impeller diameters of 11” and 12-1/2” and ranges of 850 RPM to 2150 RPM. Pumps in this line are compatible with many Gorman-Rupp U Series models and ESCO Pumps HP Series pumps. PL Series and XT Series Phantom Pumps low pressure pumps with maximum solid contents ranging from 1-3/4” to 3” and impellers from 6-1/4” to 14-3/4” in diameter are compatible with S Series All Prime pumps, T Series Gorman-Rupp pumps and more. 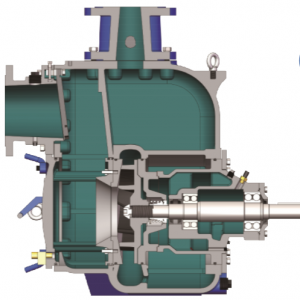 In addition, our DPUMP branded line of ANSI pumps features corrosion resistant pumps that are interchangeable and compatible with Durco chemical process pump equipment, while our innovative Slurry Pump Line features pumps with a patented design that are compatible with Warman AH Series slurry pumps. Contact a pump specialist at Phantom Pumps today to learn how you can lower costs at your processing facilities and operations in Florida, Georgia, Alabama, Ohio, North Carolina, South Carolina and/or elsewhere in the Eastern US with Phantom Pumps corrosion resistant pumps and parts.